The White Hall Craigs: Great big shower! 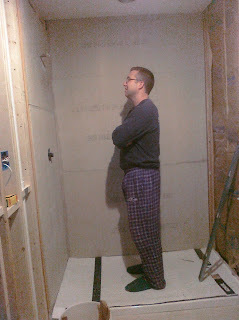 Doug is standing in the new shower. It is big.